The main reason we come together as a family of God is to worship the Lord. When we humbly put our faith and trust in Him, we receive His blessing, guidance and peace that passes all understanding. We hope you experience the healing touch of His grace today and forever. We are privileged to serve the living God. And, we count it a responsibility and an honor to serve others as Jesus Christ served us. At our church, there are many opportunities for you to use your gifts to reach out to others. We believe the Bible is God's perfect Word and is relevant to every generation. 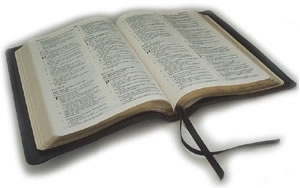 The Scriptures instruct us in truth and inspire us to please God with our daily lives. We hope you join us in studying the Word! Being a believer in Jesus is a wonderful adventure! There are many ways members can experience the life-changing touch of God here-through exciting ministries, Bible studies and special programs, children and adults of all ages can live out their faith in action. The bonds between Christian friendships are like no others. We believe in cultivating relationships and strengthening these bonds between members of our church. You'll discover that encouragement, accountability, service and love are the hallmarks of freindships here. And, our arms are always open to welcome new friends! We are affiliated with the Nor/Cal and Nevada District of the Assemblies of God.